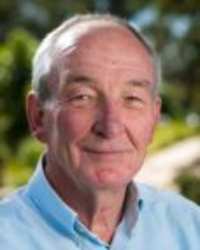 Dr Selle received his PhD, entitled “Phytate and phytase: Consequences for protein and energy utilisation by pigs and poultry”, from Sydney University in 2001and joined the Poultry Research Foundation the following year. He has authored and co-authored more than 50 review papers, research articles, book chapters and conference papers in the area of phytate and phytase. Most recently, Peter Selle has also become involved in investigations into the nutritive value of grain sorghum as a feedstuff for broiler chickens and the practice of ‘whole grain feeding’. Of particular interest is the importance of digestive dynamics of starch and protein in relation to the performance of broiler chickens. In previous lives, Peter worked for Bayer Animal Health in Australia and Germany and BASF Animal Nutrition in Australia where most of his time was devoted to the evaluation of a fungal phytase feed enzyme in pigs and poultry.